Arthritis gets to most people sooner or later. Usually later. But “hand arthritis” can come very early. It’s a stress-related woe, and there’s no lower age limit on busy hands. Believe me, I know. I will never forget the winter I decided to knit sweaters for four boys. With a Christmas deadline, it was a nonstop venture, and my hands screamed. Those were young hands. Finger exercises, stretching and ibuprofen was all I could do at the time. Because I didn’t know there was a better answer. That’s not surprising. Just try googling “hand stress arthritis” and you won’t get a lot of help—instead, your search engine will lead you into numerous blind alleys, and you’ll end up with articles on rheumatoid arthritis and osteoarthritis. This kind of pain isn’t osteoarthritis, bursitis or rheumatism. It disappears within a day or two when you stop overworking a joint and comes back when resuming your abuse. For some people, ”hand stress” may be carpal tunnel syndrome that lands in the fingers instead of the more usual wrist area. But again, this is a pain that—unlike carpal tunnel—goes away if you stop doing whatever caused it. That’s an obvious treatment: end the abuse. But what if you have an activity that you really, really need to pursue? “Hand stress arthritis” doesn’t seem to be a medical condition that gets any attention. It doesn’t matter a lot, though, because if you’ve felt it, you know it’s definitely something real. Stretching the fingers like a concert pianist warming up may help. So does boswellia. At long last, the Italian journal, Edison Minerva Medica, reported on an experiment with young subjects who had this kind of pain. The researchers divided them into two groups. One got the standard medical treatment, basically physical therapy. The other got a boswellia supplement. After two weeks the pain decreased significantly for the patients who got boswellia. Swelling was reduced more as well and their hands functioned better than the control group. Some of the control group had to resort to pain medications because the therapy alone was not enough, but none of the subjects who got boswellia needed any pain medication. Boswellia, or boswellia serrata, to give the supplement its full name, is the plant that also yields the famous resin beloved of wise men—frankincense. Finding this study was an interesting addition to what we already know about boswellia. 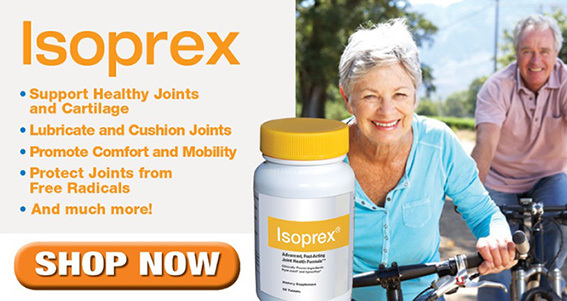 At Renown Health, it is included in Isoprex, our solution for joint health. It’s part of a formula that puts the brakes on a reaction called the “membrane attack complex” or MAC. Most people think that the pain from arthritis is a simple mechanical problem. There’s nothing to cushion the cartilage between joints once the synovial fluid has been destroyed. But cartilage doesn’t have nerve cells. It’s the swelling and irritation in the muscles and tissues around the joint that cause the pain and set off a MAC attack. I still don’t have arthritis—knock on wood—but the next time I decide to knit four sweaters in six weeks, I know just what to do. Meanwhile, I can see why Isoprex gets such rave reviews from people with chronic problems. Boswellia is good stuff.